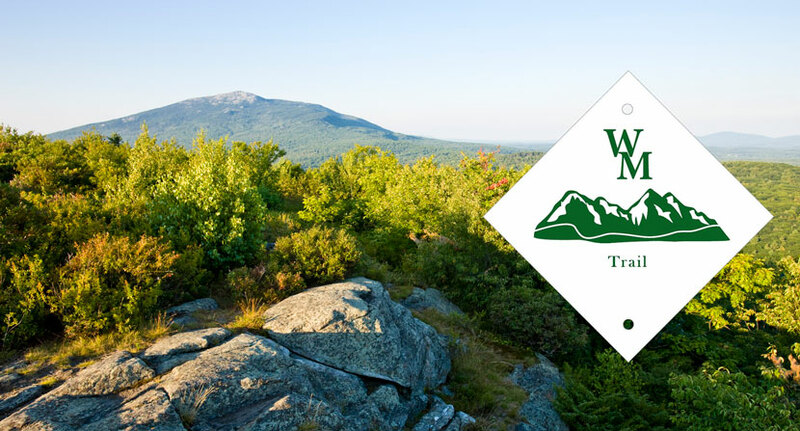 The Wantastiquet Monadnock Trail (WMT) stretches 50 miles and includes the Forest Society's Madame Sherri Forest, Gap Mountain, and Monadnock Reservations. Photo by Jerry Monkman/Ecophotography. The 50 mile Wantastiquet-Monadnock Hiking Trail (WMT) can now be hiked over its whole length from Brattleboro to Mt. Monadnock. Well-known public lands along the trail include the Mt. Wantastiquet, Bear Mt., Pisgah and Mt. Monadnock State Parks, the Horatio Colony Preserve, the Cheshire Rail Trail, and the Forest Society's Gap Mountain and Monadnock Reservations and Madame Sherri Forest. The WMT is the culmination of 25 years of planning, negotiations and trail building begun by members of the Chesterfield Conservation Commission and the park staff and Friends of Pisgah Park. 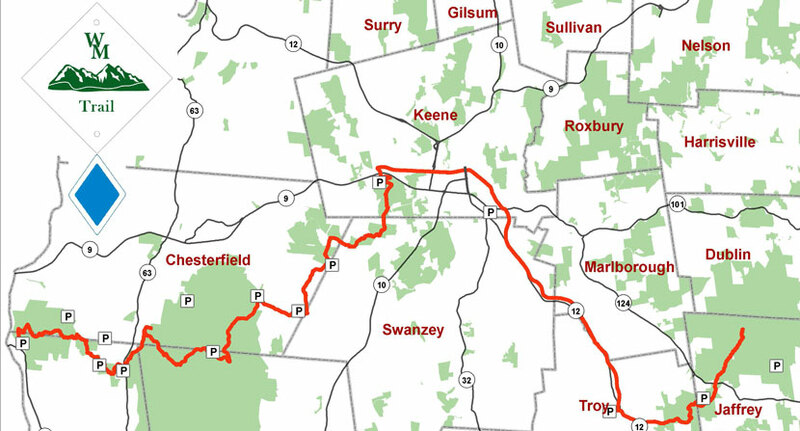 The Wantastiquiet-Monadnock Trail Coalition, the enlarged group now overseeing the trail, includes the Forest Society, the State of New Hampshire, the Troy, Hinsdale and Winchester Conservation Commissions, the Swanzey Rail Trail Advisory Committee, Antioch New England, Colony Memorial Trust, Keene Parks and Rec, the Monadnock Conservancy, Pathways for Keene and the Southwest Regional Planning Commission. Click the links below to download a PDF map of the whole trail or section. For further information, email Tom Duston at tduston@keene.edu. Wantastiquet Monadnock Trail (WMT). Click the links above to download the complete maps.